Come celebrate American music. The Mid-South Symphonic Band will host a concert at the Volkswagen Conference Center. The performance will feature music celebrating the heritage of America like “When Johnny comes marching home” and a medley of tunes from 18th century Williamsburg. The concert is free to the public. Founded in 1990, the Mid-South Symphonic Band is comprised of 70 musicians from the greater Chattanooga area and performs under the direction of Jim Souders. This all volunteer organization is comprised of musicians from diverse backgrounds who enjoy sharing their talents with each other and with the community. 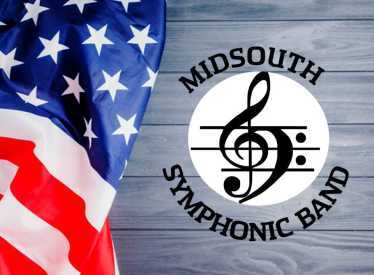 Please check us out at www.midsouthsymphonicband.com.